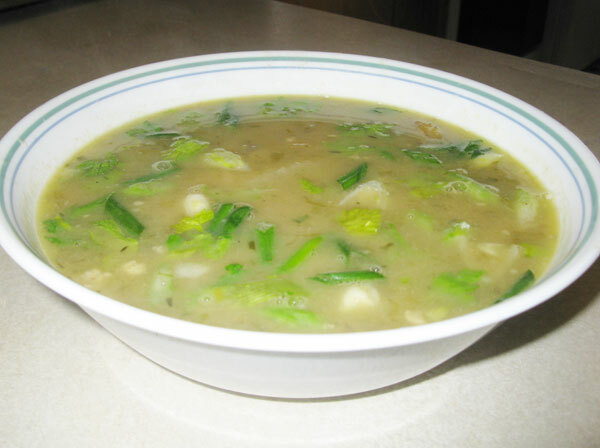 Beef soup and beef soup with peas/barley are two of the most tasty soups you will ever have. It can be had as a meal or an appitizer. Clean beef and cut into small pieces. Add oil and beef into pressure cooker or pot. Let beef fry until lightly brown while turning to avoid burning. Add peas. Add water to half the pot/cooker. Add celery, scallion, black pepper, bullions, thyme and salt. Sti and pressure for 5 minutes or boil until peas melt. Add pototoes, noodle soup and eddoes. Stir and boil over medium heat. Add water when necessary. In a medium bowl add flour, touch of salt, sugar and 1/2 cup milk. Stir into a very thick batter, add a little water if needed, the batter must stick to the spoon and not run off. Add a little flour to achieve this. Boil 1/2 pot water, when water is boiling dip batter with a table spoon and add to boiling water, continue this until all batter is used up. Allow to boil for ten minutes. Remove from fire, strain and set aside. When soup is fully cooked add dumplings and remove from fire.